89th and Broke alerted us that this week is Yelp Drinks Week. 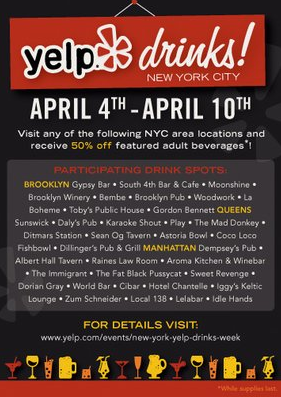 This means bars all over NYC are offering 50% off three select drinks at their venue. Click here for the full list of participating bars. 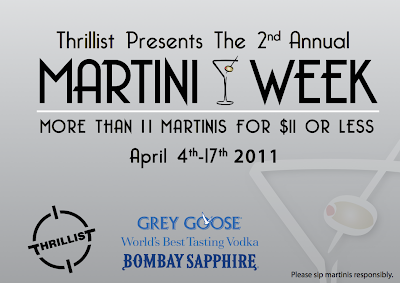 Also, Thrillist is once again hosting Martini Week, starting today, going through April 14th. I'll be heading over to their kick-off party tonight, but if you're just oh-so-eager, you can check out coverage from last year's event here.